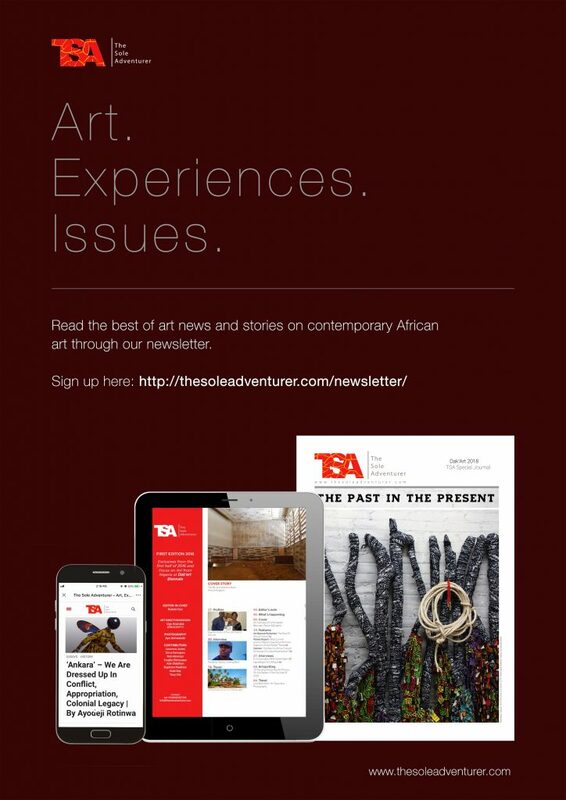 When Faye Mfikwe, Chief Marketing Officer of the Joburg Art Fair said in her opening note published in the Fair’s elegantly designed catalogue, that art is a “socio-barometer of the times,” she was not being trite. The admittedly oft quoted remark was especially true of the works at the Fair she was promoting, where I found that galleries showed work that were sharply explicit and critical of recent South Africa’s politics and by extension, the world’s. Or at least these were the ones that stood out. 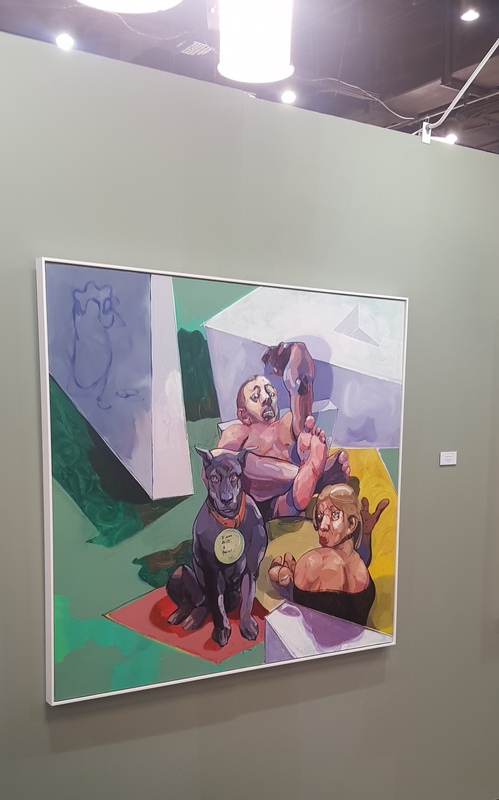 Joburg Art Fair held and closed two weeks ago and ideally this recalling (which is not a review) should have come much sooner but there was a need for a quiet and lengthy reflection. I arrived at the opening of the Fair with bias and assumptions. 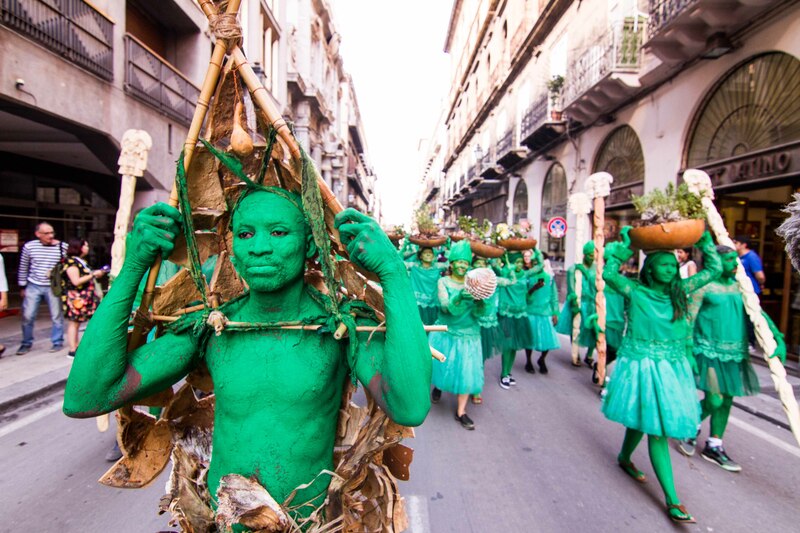 It had promised the best of South African contemporary art but I had decided to focus more on galleries from other parts of the continent whose artists’ work did not travel much outside their region except via Instagram. I had also assumed I was going to see a mixed audience, a reflection of South Africa’s rainbow nation engaging and interacting with the art industry and market. I wanted to eavesdrop on conversations, see what people were buying, people watch. Neither bias or assumption proved entirely true. Try hard as I did to ‘focus’ on galleries from other countries, the work of these three South African artists demanded the immediate attention of everyone who walked past their booth. Ayanda Mabulu, in the Kalashnikovv Gallery booth was the conscience of a Fair, and at large a country that wasn’t asking itself enough hard questions. His large scale mixed media works bore telling objects: a gas mask, pinned onto what resembles a Basotho blanket, an AK-47, cowries and bullet shells strewn on the floor of the frame. 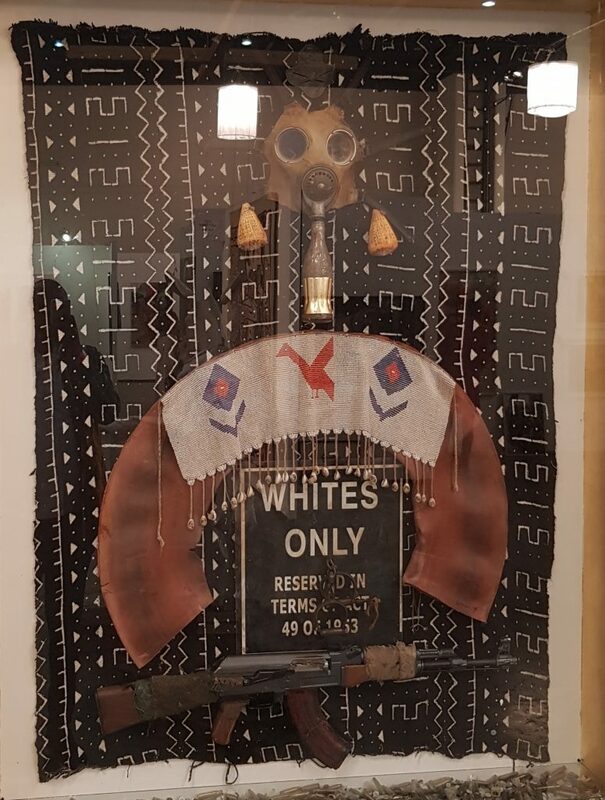 Perhaps to ensure no one (a non-South African like me maybe) missed the reference of what he might be alluding to, one of the works also bore a rusty sign, “Whites Only”, a very familiar artefact that was hung around apartheid South Africa, just over 30 years ago. Not much has changed. The fair, on the opening night and the second day I visited, had mostly white, visibly moneyed guests consuming and buying works about black inequality and pain that they have no experience of and are unwilling to give up their privilege to change. Throughout my nine days visit in Johannesburg, I noticed the visibly disparate economic realities across the city. The more affluent areas appeared to be occupied by predominantly white people and sports cars. Everywhere else had the blacks. A friend studying for a PhD at the University of Johannesburg told me she had never seen a white student on the free public school bus. Ofentse Seshabela at Eclectica Contemporary was also taking a shot. 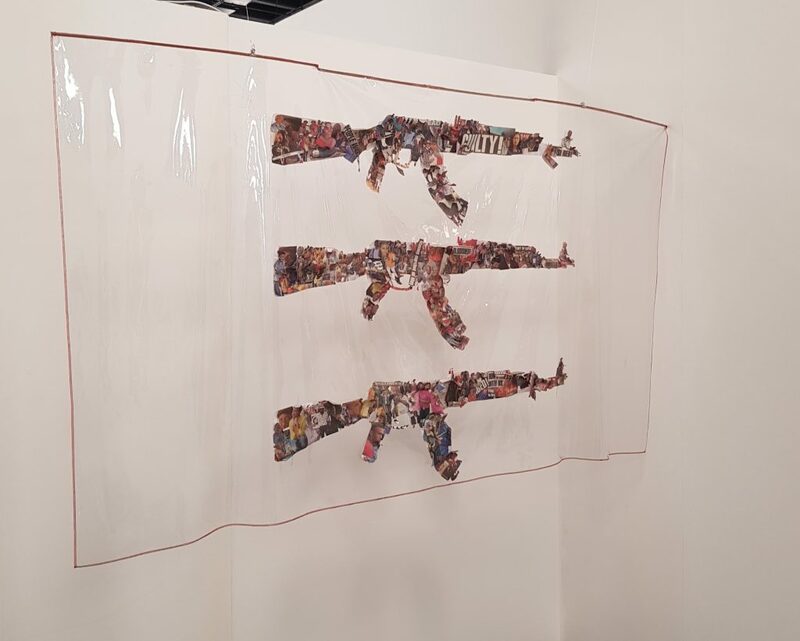 He had hung a collage of newspaper clippings on nylon, in the form of three AK-47s, commenting on the violence that the black body is subjected to in South Africa. There is the economic violence in which education is priced out of the reach of black students as manifested in the recent #FeesMustFall protest and the inferior pay given to mineworkers who protested their wages recently and were gunned down in the Marikana Massacre by the South African police service. There is also the consistent report of black people turning on each other – carjackings, stabbings, robberies, (genocide?) – because the country’s wealth and resources are not evenly distributed. On the same Sunday I visited the Fair, at Rosebank Mall, in the full glare of CCTV cameras, two men tried to pickpocket a colleague. Asanda Kupa’s work at the Guns and Rains gallery followed suit. 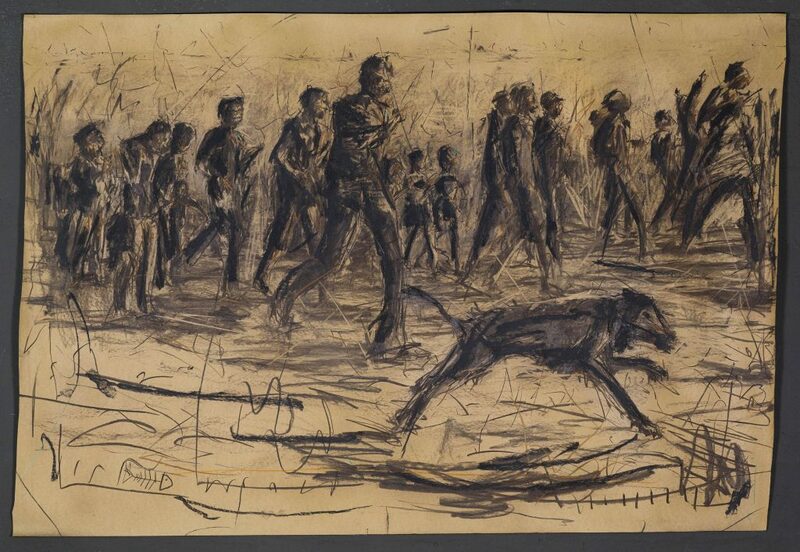 In his paintings, he centered South’s Africa’s working class, who bear the brunt of the system’s injustices in his work: mineworkers, security men, bus drivers, construction workers, who exist on the fringes of a supposedly free and equal South Africa but yet are indispensable to its construction and growth. I had surmised that the artists of Ethiopia’s Addis Fine Art Gallery would be a starring highlight at the Fair but it was another Ethiopian that stole the show: Nigatu Tsehay of Christopher Moller gallery. Displayed against a mint green booth bucking the trend of the white cube wall, it seemed guests were being invited into a home. Spread out across three series, Tsehay’s work carries an indescribable, intimate energy that draws you close, but not too close, as you see a man in various poses of recline, undress and indifference with ripping muscles and limbs truncated. Teshay is a kind of magician. I cannot say for certain what about the works were so riveting. They just were. From Ghana, artworks had arrived just in the nick of time for Gallery 1957. The gallery had had difficulties clearing its artists’ works – Godfried Donkor and Florine Demosthene – from customs. The gallery manager, Victoria Cooke told me the 11-year-old Art Fair had left no number or resource to turn to, should galleries run into regulatory trouble. The glass framing Donkor’s works had smashed in transit. Yet Donkor, irrepressibly positive, had a glass of Champagne in hand ready to welcome anyone to the booth. His collages were on display interrogating the history of trades between the West and the Other, the trading in people, fathers, daughters, generations; the interchange of customs, traditions, sport. Remarkably, Donkor creates these collages on the pages of the Financial Times, a bastion disseminating the West economic knowledge across the world, and on whose pages we might otherwise see obscene money, dizzying deals, and how boardroom barons, the 1%, live and run the world. During a conversation about the Joburg Art Fair with a South African colleague and respected editor, I was told that the Fair and by extension the art market was ‘dominated’ (or perhaps she said controlled) by a certain 1% of three or four galleries. I wondered what that meant. It took me back to a harshly worded email sent to me that suggested art criticism should challenge the “corporate culture (and the gallery-collector led infrastructure) of art communities.” So, I did a little searching around. 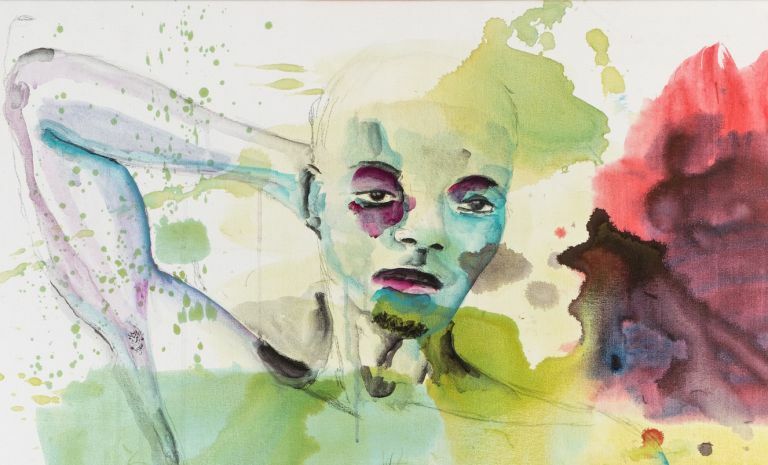 This year, the FNB Art Prize went to Harold Gun-Sallie, a South African artist represented by Goodman Gallery. There was a large scale installation by Sue Williamson, a South African artist also represented by Goodman Gallery. The Featured Artist was Billie Zangewa from Blank Projects. All three sections were allotted large exhibition spaces at the Fair. In 2016, the FNB Art Prize went to Nolan Oswald Dennis, a South African artist, represented by Goodman Gallery. In 2015, the Art Prize went to Turiya Magdelela, a South African artist, represented by Blank Projects. She is also listed on the Stevenson Gallery website as their artist. In the same year, the Featured Artist was Candice Breitz from Goodman Gallery. 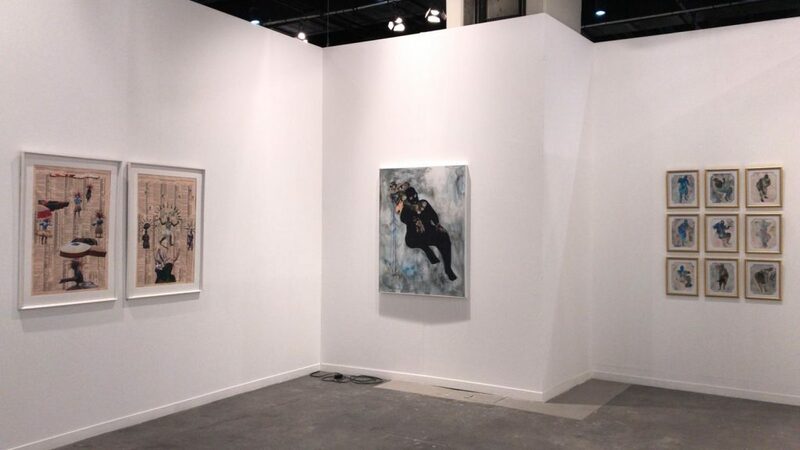 In 2013, the Fair’s Featured Artist was David Goldblatt, represented by Goodman Gallery. In 2012, the Art Prize went to Kudzanai Chiurai, represented by Goodman Gallery. That year, the Featured Artist was Deborah Poynton of Stevenson Gallery. I’m wondering what the ‘winning gallery’ will be next year.